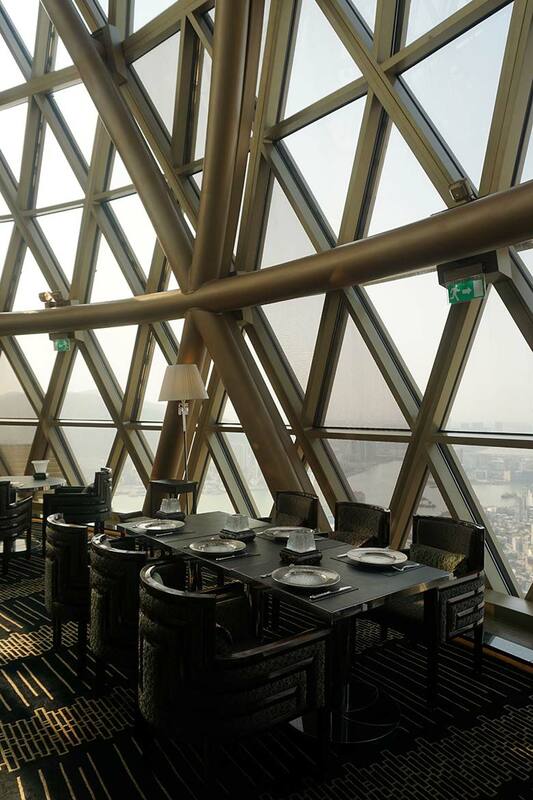 Situated at the very top of the iconic Grand Lisboa hotel, Robuchon’s Macau outpost has rightfully named itself after the spectacular dome within which it resides. 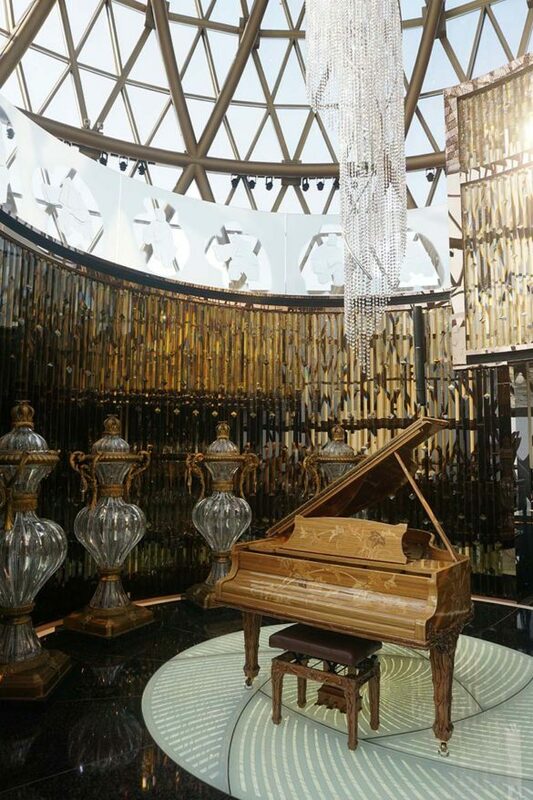 It’s classic three-star Michelin styling in spades here – a grand chandelier, a grand piano and trolleys aplenty. 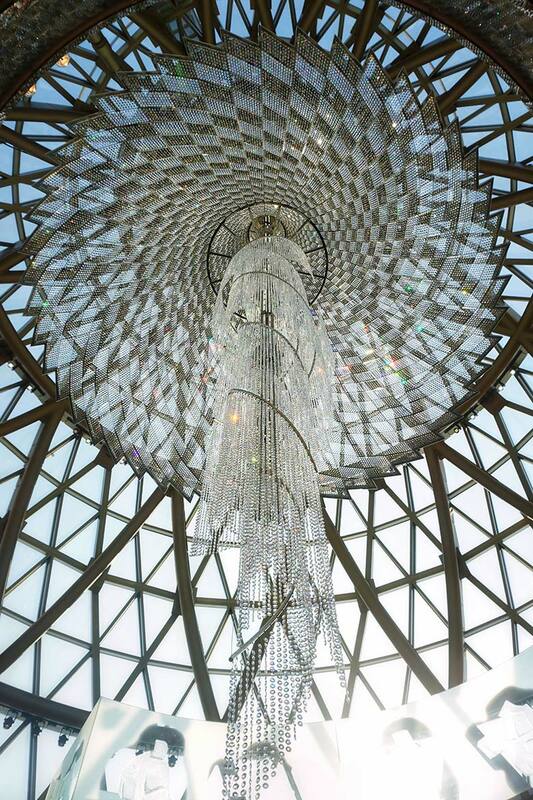 The experience in the dome is quite different from day to night – we dined at lunch to take advantage of the gorgeous light filtering in through the dome and the sweeping Macau views, but we imagine Macau’s glittering lights would be just as captivating a vista come nightfall. 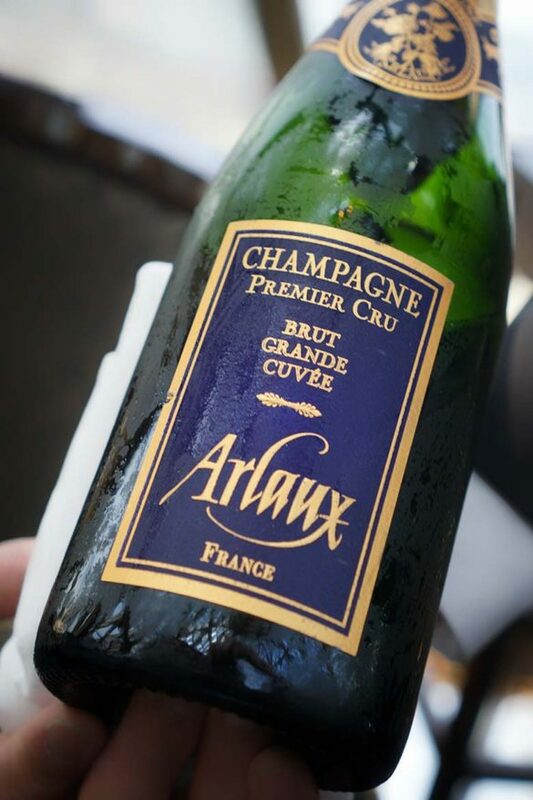 Robuchon’s house champagne is Arlaux Brut Grand Cuvée, and it’s impressive. It’s not often I rave about a house champagne, which usually are a tad boring, but this had excellent toasty characters with wonderfully balanced acidity. Surely the only way to start a meal in this shrine to French classics. If you’re familiar with Robuchon’s establishments around the world, you’ll know that the bread is always a highlight. 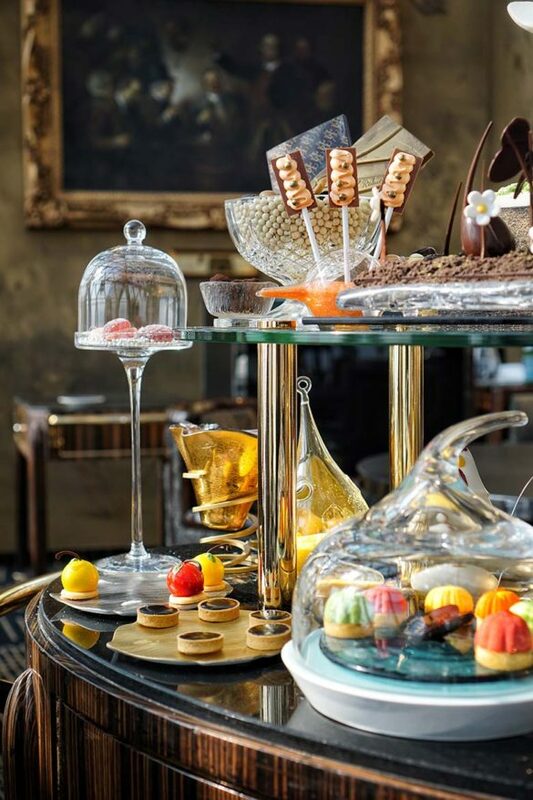 Au Dome’s bread service is no exception, a towering trolley of miniature baked goods, each as tempting as the last. Accompanied by a butter trolley (salted or unsalted – does anyone actually prefer unsalted? 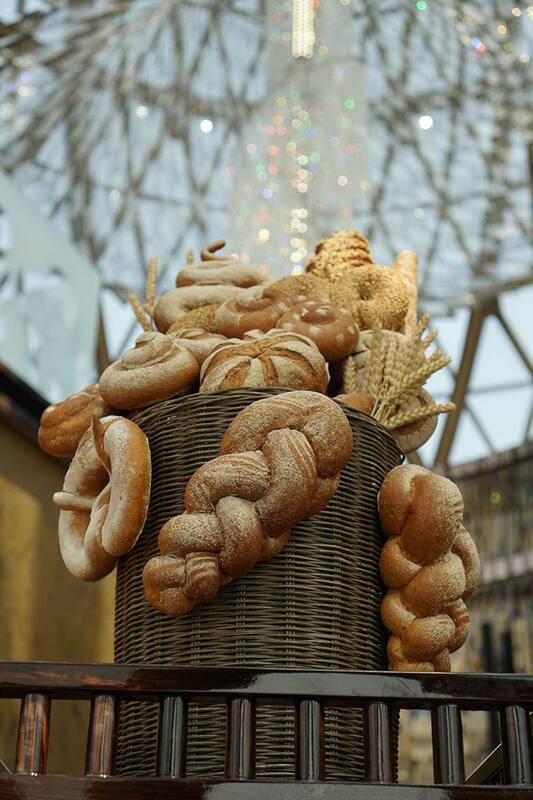 ), this is heaven for carb lovers. 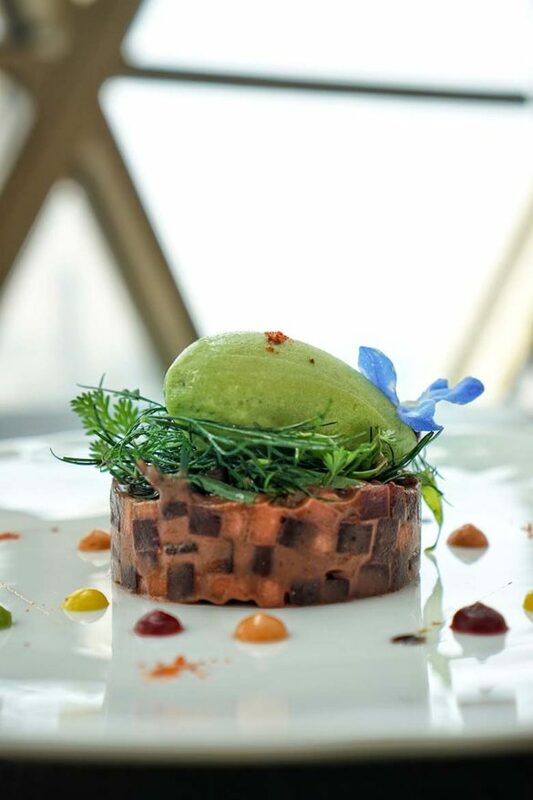 La Betterave (Duo of beetroot and apple with avocado, young herbs and green mustard sorbet) is our first course, the intense aroma of fresh dill emerging as the glass cloche is ceremoniously removed. The pleasantly piquant sorbet pops with mustard notes and comes together with the beetroot, apple and avocado in a deliciously refreshing manner. Our second salad, L’Artichaut (Artichoke salad with smoked foie gras, parmesan cheese and black truffle shavings) didn’t hit the highs of it’s predecessor, despite being featuring the usual suspects of luxury ingredients. 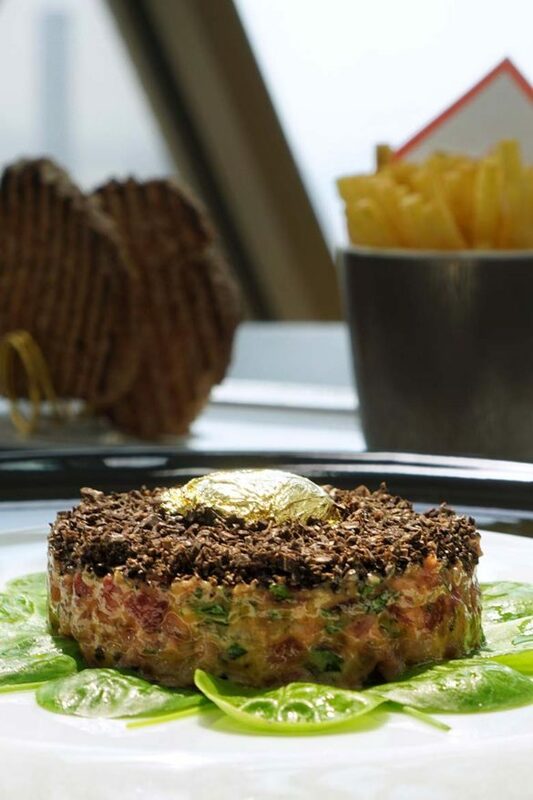 Robuchon’s classic Beef Tartare is also on offer here, topped with finely chopped black truffle, a gilded quail egg and served alongside toast and extremely fine fries. It’s possibly a little flat, missing a flavor pop for me – acidity, heat or the like – but it’s an enjoyable dish nonetheless. With pea being one of my favorite ingredients and veloute my favorite soup, I’m more than delighted to see Le Petit Pos (Finest velour of green pea with spring onion marmalade and fresh mint) on the menu. It’s utterly delightful, every ingredient singing it’s own notes in this harmonious dish. My only gripe? The circular laminated cut out of a photo of peas stuck to the plate. Honey, I know what a pea looks like, I don’t need any arts and crafts on my plate. I’m still completely puzzled at how this ends up on a plate at a three starred restaurant – please, this has to go. Inappropriate plate decoration aside, the veloute was marvelous. Next comes our main, and surprisingly, it’s the best course of the meal. I often find the main meat courses lack the intricacy of the appetizers, but the incredible lamb in our L’Agneau de Lait (milk fed lamb saddle with fresh thyme, confit eggplant and vegetal curry) served alongside Robuchon’s classic (read: extremely buttery) mashed potato elevates this dish to be the most memorable of the day. In a city swimming in wagyu, this lamb really holds its own. Don’t miss it. 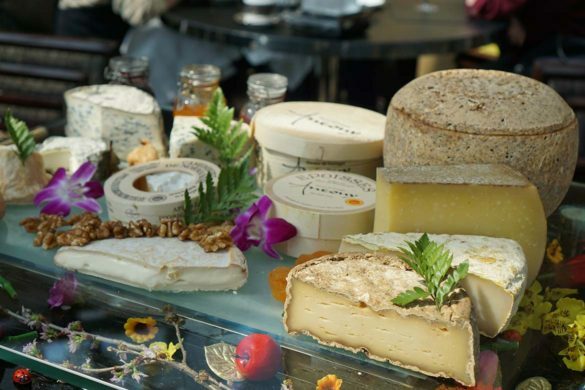 It’s all about the trolleys again from here on out, starting with the cheese, should you choose it. I’m a tad frightened of overly fragrant fromage so stayed firmly to the mild side, but lovers of the stinkier side of things will simply be in heaven. Your selections are plated beautifully with accompaniments a plenty – a very elegant cheese service. 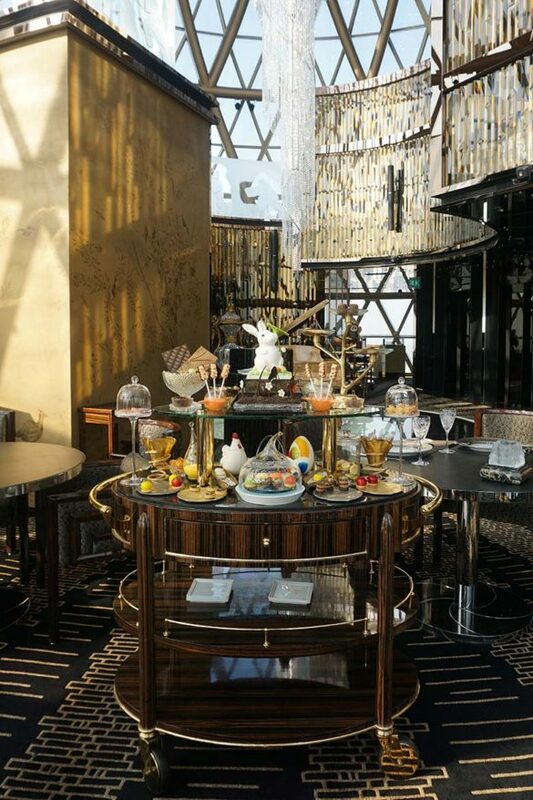 I’ll admit I’m not a big dessert lover – but Robuchon au Dôme’s La Symphonie des Douceurs (simply put, the dessert trolley), is nothing short of impressive. 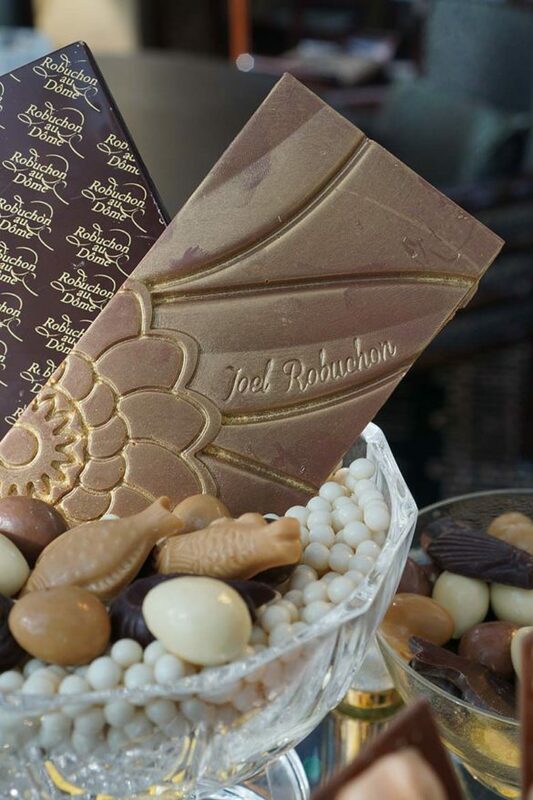 The options on offer are plentiful but of course, in keeping with the theme of the restaurant, very classic. 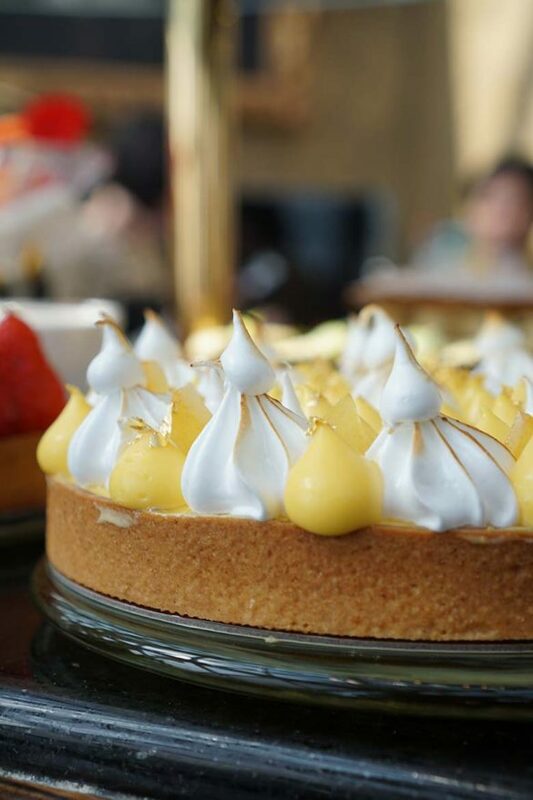 Floating island, rum baba, lemon tart…you get the idea. 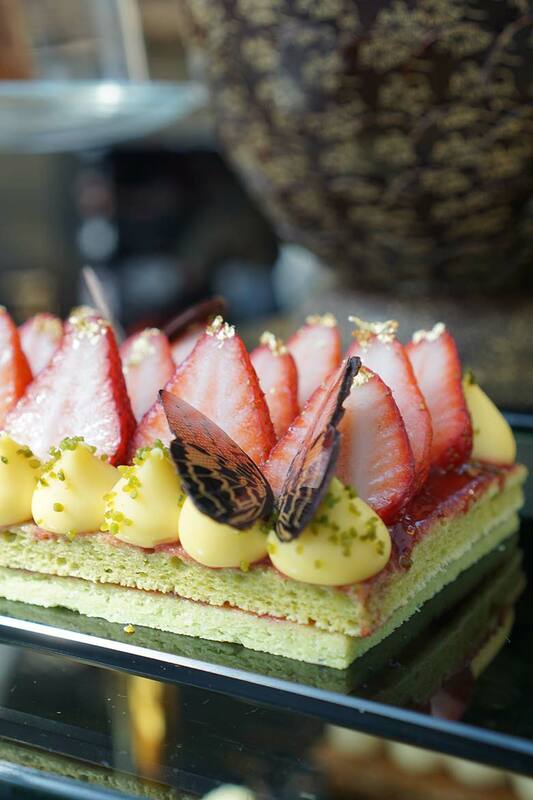 I loved the exquisite chocolate hazelnut tart, the mille feuille and the gorgeous passionfruit mousse tartlet. 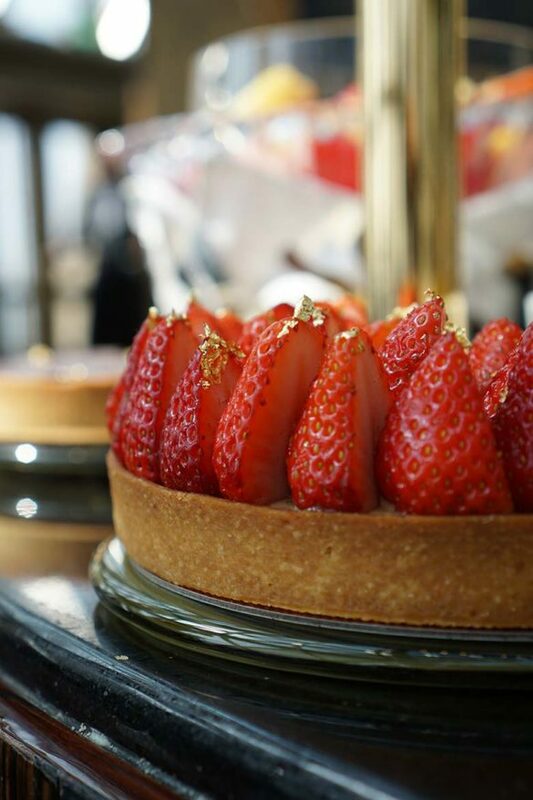 That’s not all for the sweet side of things, however, as next is coffee, tea and a mignardise trolley filled with tiny tempting bites, if you can squeeze any more dessert in at this point. Service throughout the meal is nothing short of exemplary, as one would expect from a three starred establishment, but still deserves note. 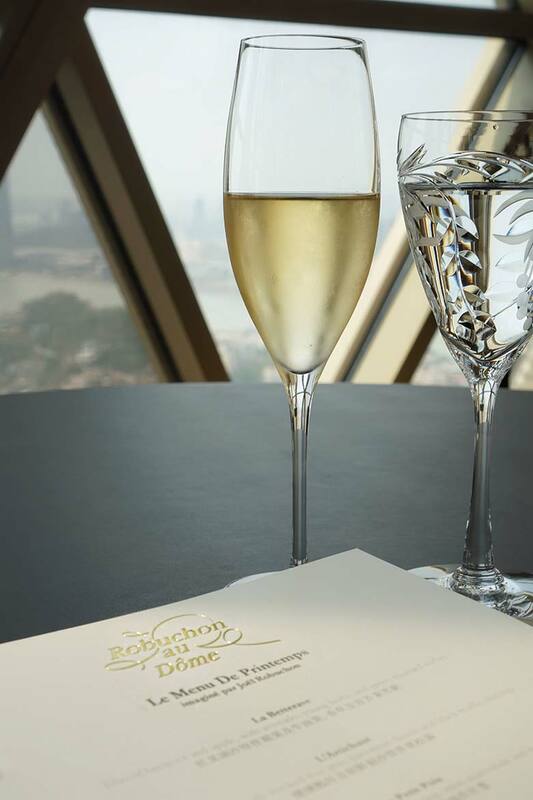 Add to this a knowledgeable sommelier armed with an impressive wine list boasting over 16,000 bottles to choose from, but more importantly, excellent by the glass options, and you have a recipe for a delightful experience. I absolutely loved the Condrieu La Doriene 2012 Viognier, the Chateau Larcis Ducasse Saint Emillon Grand Cru Classe 2010 and the Puligny Montrachet 1er Cru Les Foliatieres 2010 – all served by the glass. 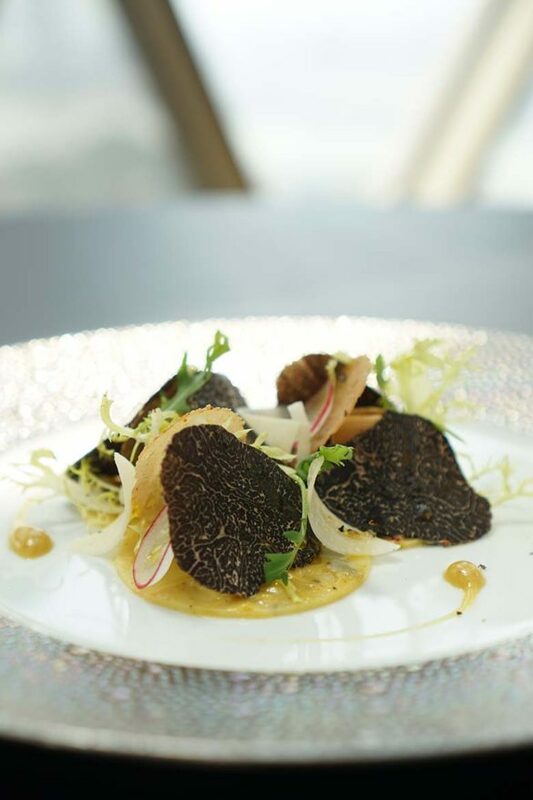 Robuchon au Dôme is classic three star from amuse bouché to mignardises, delivering beautiful cuisine, wines and views from it’s 43rd floor vantage point. 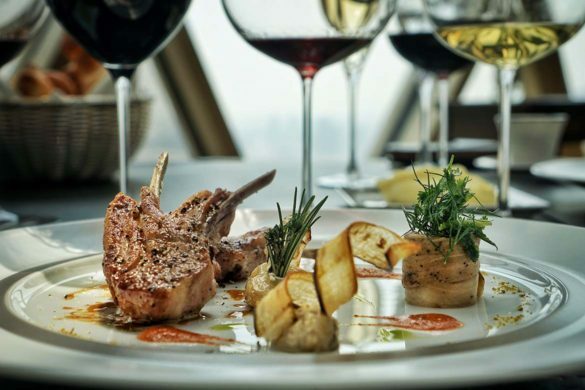 Certainly one to visit in Macau if you’re craving some old school dining that is at once elegant, relaxing, pampering and delicious.